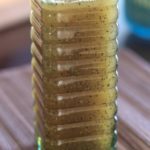 Honey Poppyseed Dressing – A slightly sweet vinaigrette dressing that goes great with fruit or salad. Or especially this spinach apple salad. When I was making a salad to go along with a dinner I had the other day and was originally going to attempt homemade ranch dressing, which I was dared by a friend that I couldn’t do as well as Hidden Valley. Well, my friend might be right about that part. I instead opted to make this honey poppyseed dressing and I couldn’t wait to try it. I made a special trip to go buy poppy seeds and everything. It’s a great pairing with fruits as well as salad, and especially salad with fruit (I used it in my spinach apple salad). Make sure you use liquid honey and not the raw honey that you have to scoop out of the jar, it won’t mix well. As soon as I tried this I immediately turned around and made a double batch because I knew it wouldn’t last long. The double batch probably lasted for about 12 servings, but if you just want to make a small batch you can cut the proportions below in half. So good and so simple! 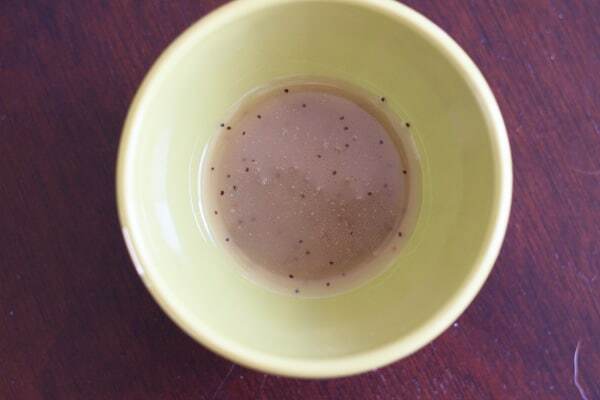 Only oil, honey, apple cider vinegar and poppy seeds. 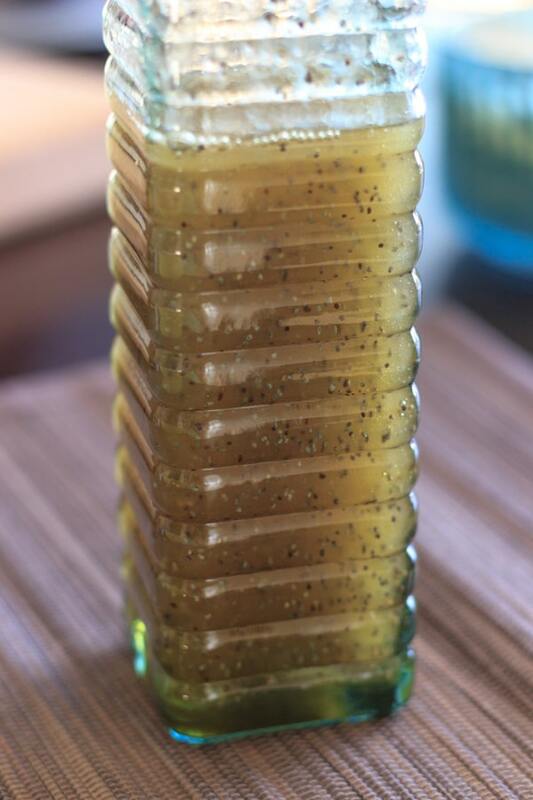 Honey Poppyseed Dressing - A slightly sweet vinaigrette dressing that goes great with fruit or salad. Combine all ingredients in a container and shake until combined. Store in refrigerator and shake well before each use. If cutting recipe in half, use 2 teaspoons poppyseeds.